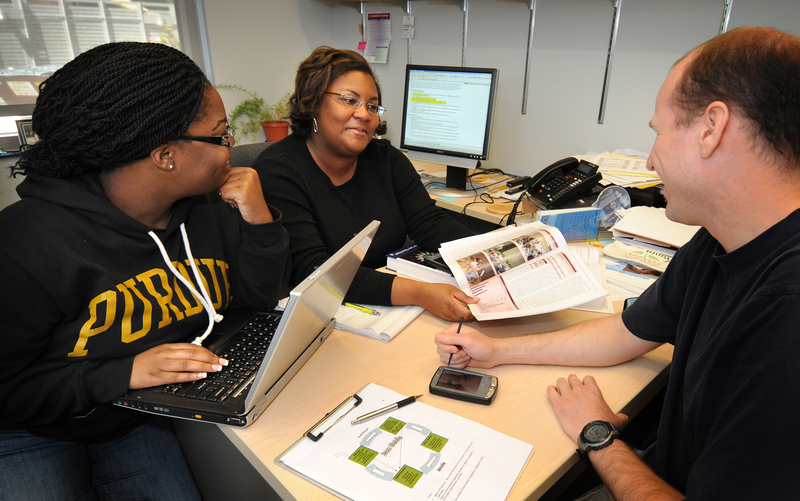 Monica Cox (at center), an assistant professor of engineering education, speaks with graduate students Tenille Medley and Nathan McNeill during a research meeting. Dr. Cox was one of 9 faculty in Purdue’s College of Engineering and one of two faculty in the School of Engineering Education to receive a National Science Foundation CAREER Award. Read the Purdue news release Read the full press release.